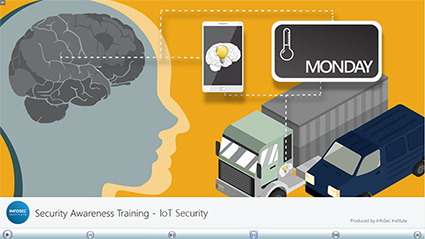 This interactive module discusses security risks related to Internet of Things (IoT), how connected devices may be attacked, and steps for safe use of IoT. Designed specifically for financial sector employees working remotely, this interactive module details networking essentials and security best practices to help keep remote personnel secure. This module details best practices for working remotely on secure networks, and provides guidance on how healthcare managers can ensure employees are protecting their devices, data and access. This module details best practices for working remotely on secure networks and reinforces the need for managerial support of remote security policies.